Frameless shower doors are functional and beautiful. They are relatively easy to install and can make bathrooms look both luxurious and spacious. At IGT, you can find 12 different kinds of shower doors with different specifications, or you can choose from our collection of IGT Standard Shower Door kits to complete your installation. Today, we'll teach you one of the ways to install an IGT Standard Shower Door.  Log in or contact us to see all the options we have available in the IGT Standard Shower Door and the IGT Standard Shower Door kit collections. First, measure the door panel to see where it is going to be fixed. Measure the centerline of the threshold. That is the midpoint of your shower opening. Mark where the panel ends. Then you position two of your IGT Glass clamps to the bottom of where the glass panel is going to be placed in the threshold. They will support the glass. Make sure to not put the glass clamps right where the panel ends or to put them too close to each other. With your Fine Point Permanent Marker, mark the place where your IGT Glass clamps need to be screwed and drill the holes in the threshold. Now place the third IGT Glass clamp on the side of the wall where the door panel will be. Place the clamp toward the upper end of the panel. Mark where it needs to be and drill the hole in the wall. Screw your IGT Glass clamps to the wall and threshold. Make sure they are leveled. Set the glass in the clamps and don't forget to leave the seals or rubber pieces they come with, inside each one of them. These seals allow you to tighten the clamps to the glass without chipping it or breaking it. This goes for the hinges too. Always leave a seal on each side between the hinge and the glass. Place the door panel inside the IGT Glass clamps. Make sure the glass is leveled and that it aligns to the marks you made before. Tighten up the clips to the glass. Open up your IGT hinges and disassemble them. Use the rubbers of the hinges that work with your glass thickness. Mount your IGT hinges to the glass door loosely. One hinge should be in the upper part of the door, the other one in the lower part of it. Place your IGT Wood Shims to the bottom of the threshold where your glass door will be. The thickness of the shims should be a little less than ½” to give you enough room for the IGT Bottom Swipe with Wipe. With your IGT Heavy Duty Triple Suction Cup, grab the glass door and place it on top of the wood shims. Align the door with the glass panel and if necessary, use your IGT Seal Glass-to-Glass 180° to hold them together at the top. Make sure that your glass is leveled. Then take your Fine Point Permanent Marker and mark the center of the holes of where the hinges will be screwed to the wall. Remove the glass door from its place and drill the holes in the wall. Screw your IGT hinges to the wall. Grab the glass door with your IGT Heavy Duty Triple Suction Cup and position it back to its place. Align it to the hinges and screw them loosely to the glass. Your gap between the door and the panel should be about 1/4”. You can use one of IGT's Wood Shims to move the glass door back and forth the hinge to obtain this gap measurement. Make sure the distance between the panel and the door is even. Then, tighten up the hinges completely so the glass is not able to move. Disassemble the handle and place it on the door. Tighten it completely. Remove the IGT Wood Shims from the bottom of the door. Measure and cut your IGT Seal Glass-to-Glass 180° PVC seal to fit your door panel. This seal will serve as your doorstop. Then attach it to your door panel. Measure and cut your IGT Bottom Swipe with Wipe PVC seal so it fits the bottom of your shower door. Then attach it to the bottom of the door with the swipe facing the inside of the shower. Test the door by opening and closing it. Apply Mildew Resistant Silicone to the edges of the fixed door panel between the glass and the tile. Clean any excess with an IGT Single Edge Razor Blade, but remember to hold it at a 45°angle to avoid scratching the glass. Finally, use IGT's Glass Cleaner and IGT Paper Towel to clean any marks on the glass and get ready to impress your happy customer.